Located in the historic downtown in Fairborn, Hollon Flowers is celebrating its 26th anniversary in the year 2016. We have based our shop on friendly service, high quality, fresh flowers and good value. Our knowledgeable staff is ready to serve you. 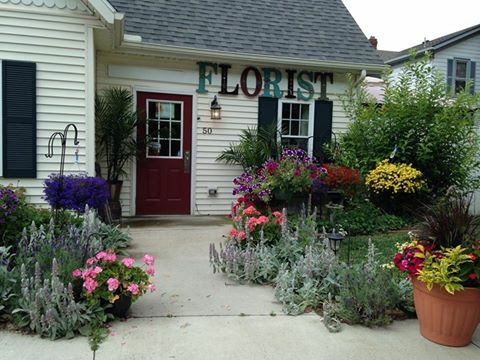 Our shop owner/designer brings 31 years of experience to Hollon Flowers. See examples of our work at our hollon flowers facebook page. *Our shop is open from 9:00 a.m. to 5:00 p.m., Monday through Friday. Delivering on Saturdays and servicing weddings. Open by appointment only. Closed on Sunday To help assure on-time delivery during the busy holiday season, place your order at least 1 day prior to the following major holidays: Thanksgiving Day, Christmas Day, New Year's Day, Valentine's Day, Easter, Administrative Professionals Week, Mother's Day, Memorial Day, Father's Day, Independence Day and Labor Day. Our shop will always be closed on the following holidays: Thanksgiving Day, Christmas Day, New Year's Day, Easter, Mother's Day, Memorial Day, Independence Day and Labor Day. Our commitment to you is 100% satisfaction on all your floral and gift purchases. If you are not completely satisfied, let us know by calling (937)879-4350. Our shop serves the following areas: Fairborn, Medway, Yellow Springs, Enon, Beavercreek, W.P.A.F.B., Kettering, Huber Heights, New Carlisle, Xenia, Clifton and Dayton (east). We offer a wide variety of styles in arrangements, ranging from high style, to country and traditional and from biedermeier to topiary trees. We love a challenge and take pride in doing an excellent job in providing you with quality flowers. We also offer a variety of gift baskets, plants and plush animals. U.S. orders must be received before 12:00 noon in the recipient's time zone to help assure same-day delivery. Orders received after that time will be delivered the following day.